The idea of installing a dry-running reciprocating compressor within a soundproof enclosure isn&apos;t exactly new. Kaeser, however, has now combined this proven concept with the latest technology in a new range of highly efficient compressors: The Airbox and Airbox Center. These new compressor systems provide air deliveries from 0.25 to 0.9 m³/min with motor powers from 2.2 to 7.5 kW. 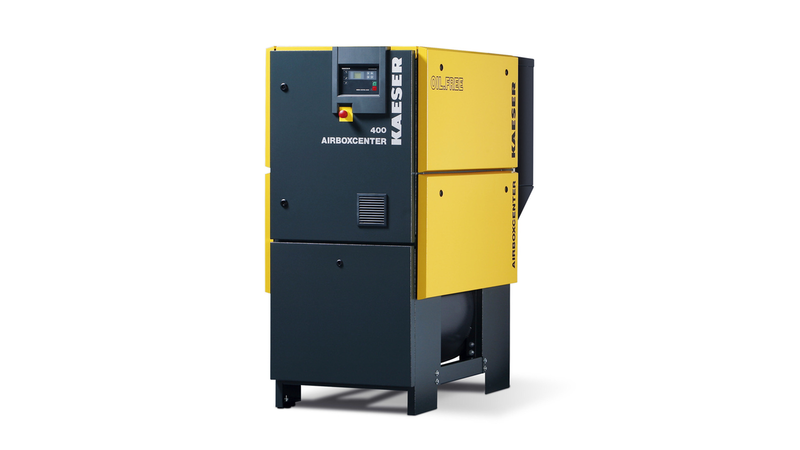 As the name suggests, Kaeser Kompressoren&apos;s Airbox models comprise an industrial reciprocating compressor housed within a sound-proof enclosure. Providing users with exceptional flexibility, the new Airbox models are available with five different motor powers and a choice of two package sizes. At the heart of each unit lies a dry-running, directly coupled reciprocating compressor from Kaeser&apos;s renowned KCT range. Another key feature of the Airbox range is its innovative cooling system: Clever air flow design ensures optimal system cooling which, unusually for a reciprocating compressor, allows up to 100 % duty cycles and dependable operation in high ambient temperatures. Moreover, the Airbox concept is also characterised by ultra-low sound levels of between only 58 to 66 dB(A), depending on the system&apos;s motor size. Best possible efficiency and reliability are guaranteed by the electronic Sigma Control basic control system.